Today's inspiration came from the Clean and Simple Blog. 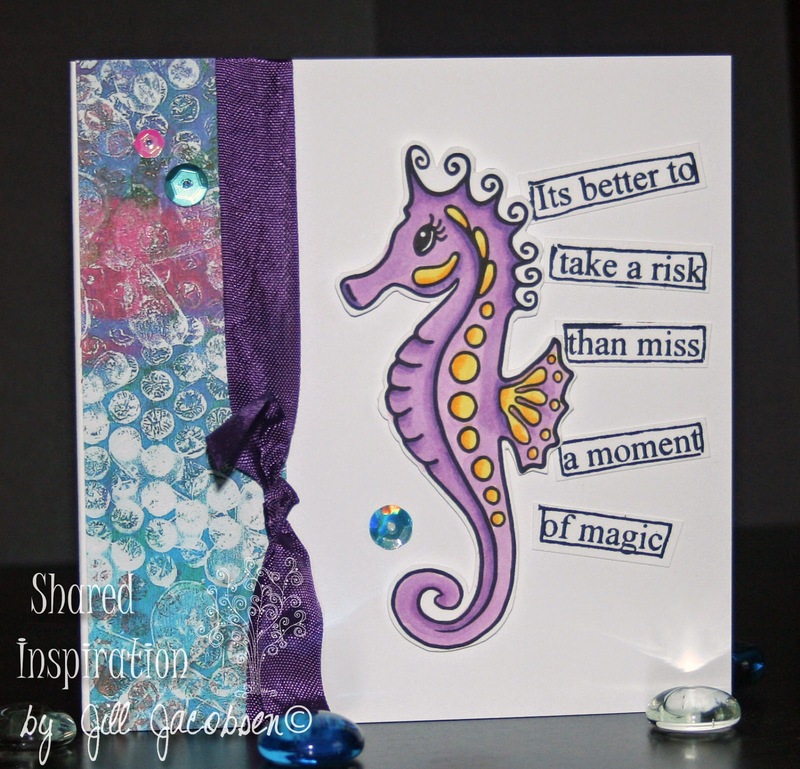 It was a closed challenge, but I liked the layout....I am liking clean and simple cards lately. White card bases are just so crisp and clean and allow for the colors and images to pop. 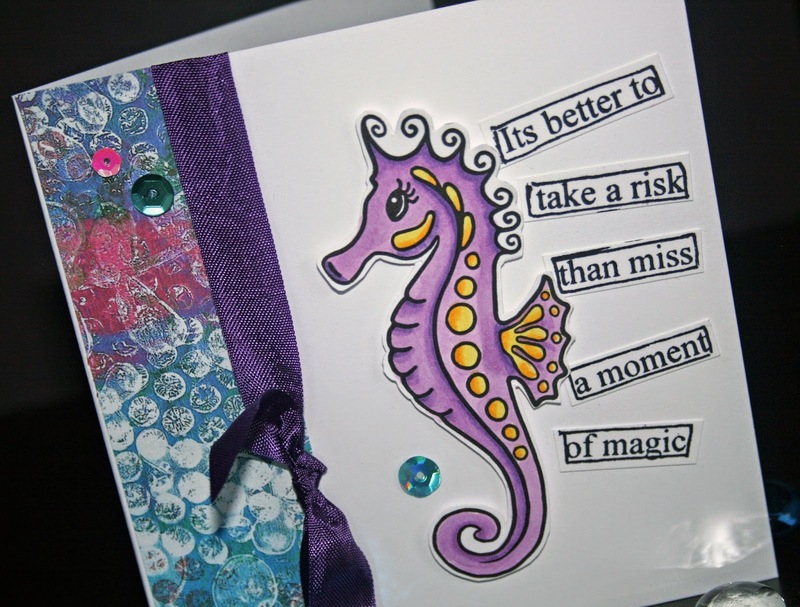 I printed my digi seahorse stamp on Neenah cardstock and colored with my Copics...V12,15, 17 & Y06, Y38. The seahorse has been so much fun to color with bright colors! The strip on the left is one of the gelli print digi papers. The sentiment is a Ranger set, Dylusions, The Right Words, that I just got. 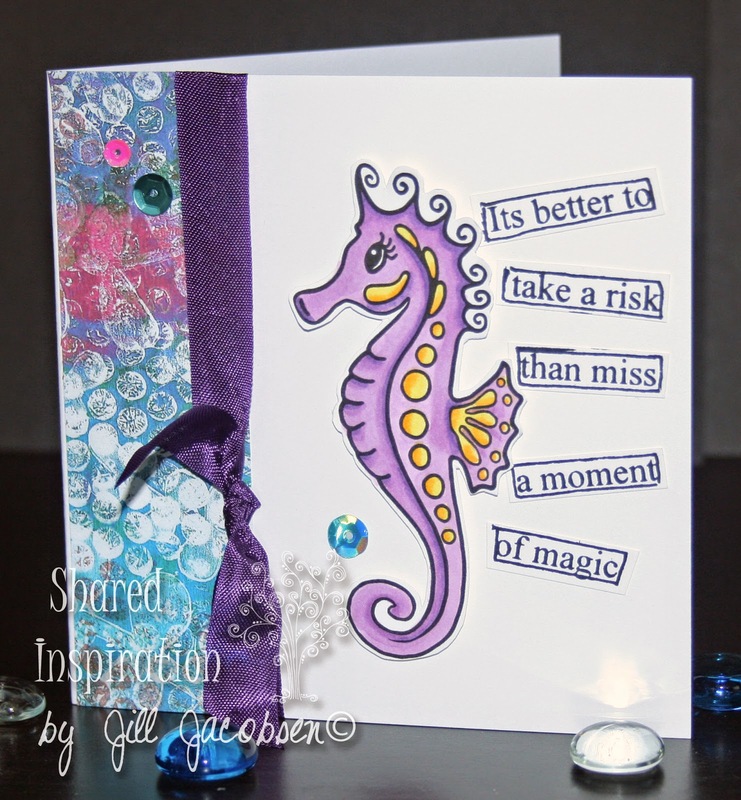 I have added just the digital stamp set, Seahorse, for sell alone in my store without the papers and the cut files if you are interested in just the set. Thanks for stopping by.....remember to do something creative today! !